There are some admirable concepts that are a part of the minimalist/small house movement. The desire to pull out of debt, only own what you need, live within your means, they are all good, and I would argue, Biblical desires. The borrower is slave to the lender, after all (Prov 22:7). Clutter can have effect on things like anxiety and depression. I’m a fan of assessing your finances and living within your means. So in many ways, I have no problem with the movement, and I am not seeking in any way to negate the aforementioned positives that come with it. There is something, however, that I would argue is sinister and occasionally inseparable from the movement, and it is the idea that “real life” happens outside the home. If you turn on HGTV or watch the documentaries or read the popular minimalist websites, an idea repeatedly pushed is that you need to be “free” of your home in order to truly be free. I’m afraid what we may accidentally (or purposefully) sacrifice in pursuit of this lifestyle is the centrality of the home itself. Clearly, if you have more than the societally acceptable amount of children, so-called tiny house living is almost not optional. You aren’t going to find many families with 4+ children vying to purchase a 500sq ft or less home. Yes, I know there are folks that sell all of their belongings and move into a large bus and travel the country with their kids. This is not about them. This is about a society that gave up valuing the home as the pillar of society long ago, and is now unashamed to sell the idea that “real life” hardly requires the home at all. Growing up, my dad told me over and over how I cannot anchor my worth or value or desire in material objects or wealth. The American Dream has long revolved around making enough money to own your own home, and we all know just how affordable home ownership has become as a result. It is true that the things you own can end up owning you. Who among us could study our society and miss our obsession with our belongings? But again, that’s not what I’m talking about. It is true that our value should not come from home ownership, but let’s not throw the baby out with the bathwater. Of course there is a connection between a culture that murders their children by the millions and turns around and pushes the concept of a tiny house that could not house those children to begin with. It’s okay that you threw your baby away, because how could you have fit a bassinet in your super sleek, hip, cool, perfectly decorated, minimalist home? Of course there is nothing wrong with living in a small house. Of course. The American definition of a normal-sized home would make most of history look at us sideways. We live in homes that many across the world would consider palaces. Let’s grant that, and not forget it. But let’s also not err on the other side of this. We ought to value the centrality of the home in our lives and our culture because God values it. “Real life” is not what happens when you aren’t home. If you’re married, if you have kids, your first ministry is precisely to the people that live inside your home. The minimalist lifestyle might not jive with them. Perhaps I don’t “feel joy” when I pick up the shoebox full of markers, crayons, and dolls that my four-year-old cannot live without, but she certainly feels the joy. If my home revolved around what makes myself and my children feel joy, it’s going to be full of objects I, personally, would love to usher to the garbage can. The question remains, what are we giving up when we move towards this lifestyle and what is the goal? Are we giving up practicing hospitality? Are we pushing off having children to travel, to meet a financial goal, or until we are tired of our tiny home? Do we begrudge our children their toys, their creative space, their feeling of belonging in their own home, to meet a standard of minimalism? Do we buy the lie that life is what happens outside the home, instead of what we create within in it? Does throwing away your belongings that don’t fit within this paradigm make you feel holy? Are we trying to reach a new standard of piety that is unbiblical? 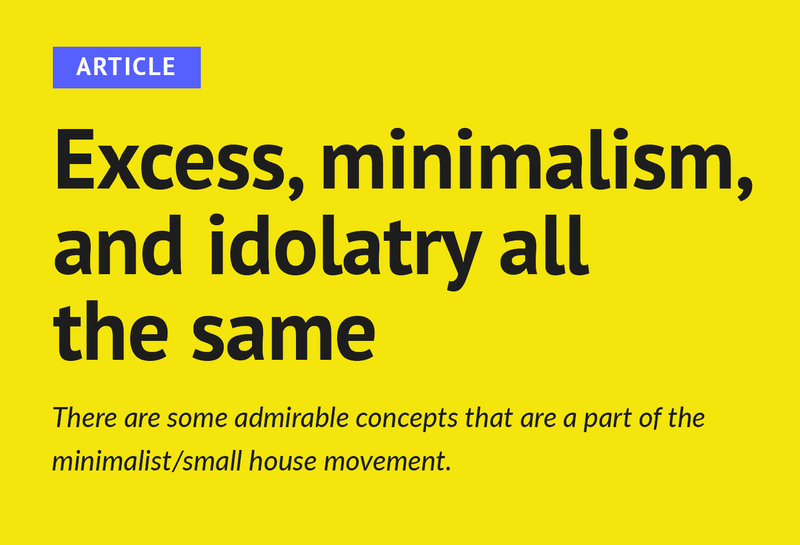 If you are a “minimalist” or you live in a tiny house and your answer to all of these questions is no, then this article isn’t an indictment of you. My encouragement to Christians is that we don’t buy into a line of thinking that devalues what God values, and I mean that on both ends of the spectrum. We can idolize our belongings, and we can idolize our minimalism. If we are giving up our homes in search of the new American Dream, in search of finding ourselves, out of a desire to be free from the responsibility that a husband or a wife or a brood of children involves, in hopes of finding self-fulfillment that doesn’t include that which God calls good, we have reason to pause. Correct. Question. As my generation continues to push off marriage and having children ever later into life so that they may earn all the degrees and see all the things, we should not plod blindly along with them, our intentions unchecked. Now, onto more caveats. I don’t believe that the tiny house or minimalist movement is simply about removing clutter, but, at its roots, redefining the home entirely. Value and worth cannot be found in the size of your home, big or small, and that is ground that the Christian cannot give up. I believe this movement is the natural pendulum swing away from prior generations obsession with amassing belongings. We all laugh at grandma, who lived through the Great Depression, and couldn’t bear to throw anything away. She called it thankfulness. Now, a few generations later, we throw everything away, rebuke the spirit of clutter, and call it shrewd. I’m merely intimating that to err on either end of this pendulum swing is unwise. Maybe the stuff you own can end up owning you; and maybe your need to have as little as possible can end up owning you, as well. I love the Pixar movie Up! I think the sentiment, “Adventure is out there!” from the film is probably innocent and mostly true. Adventure is out there. 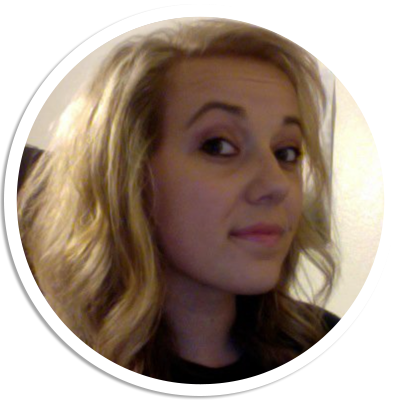 But as a parent, as a homemaker, I want to remind you that adventure is in here, too. And I daresay at the end of my life I will look back and know that loving and building my family—regardless of the size of my home or the amount of my belongings—was the greatest adventure of all. Ahhh!! I love this post and I am going to read it again! I can relate to this on so many levels and needed to hear this reminder so very much! Thank you for shedding light and speaking truth! My main objection to friends that express interest in the small house movement has mostly been the hospitality factor because those tiny homes contain absolutely no opportunity for that. But, I do so love your point about begrudging children space and ultimately begrudging children. The sentiment from up! Was that adventure is out there, but the biggest adventure was the main characters family and home. E.g., whatchoo said. This is really great and helpful. Thank you!